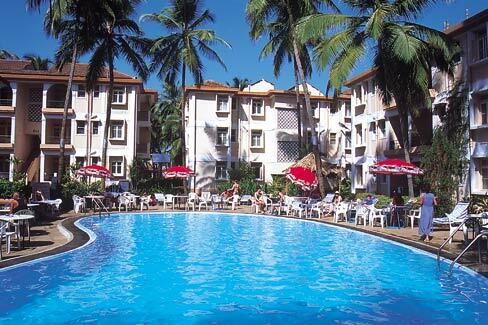 The Crown Hotel Goa is located in Panjim city, and gives a majestic view of River Mandovi and Boat Cruise center. The main shopping outlets of Panjim Goa city are at a walkable distance. 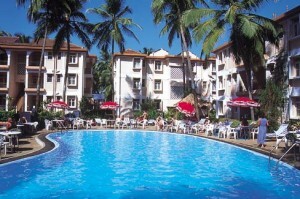 The Crown Hotel has got well designed rooms and is also walkable distance to the best casinos in Goa. The location of the Crown Hotel Goa and the range of carefully crafted facilities and services have been designed to address the needs of domestic and international business and leisure travelers. The distinctive design and detail of the hotel has been inspired by Goan architecture .The business resort offers a panoramic view of the Mandovi River and has the Panjim church as its backdrop. The Crown Goa offers 43 spacious smoking & non smoking AC rooms (including rooms for the differently – abled) with a blend of comfort & privacy to ensure a memorable stay. The rooms & suites overlook the River Mandovi with a panoramic view of Panjim city. All rooms are equipped with a host of in-room facilities like Electronic safe, Flat screen TV with cable, High speed Internet, Telephone with voice mail, Well stocked Personal bar, Weighing scale, Tea / Coffee maker & Smoke detectors & Sprinklers. We also provide Laundry Service. The hotel’s 2 in-house restaurants serve gourmet specialties in North Indian, Continental and traditional Goan delicacies where its chefs bring their passion to your platter in a distinctive culinary style. ‘Harbour Cafe’ is a multi-cuisine restaurant overlooking the pool. It provides the perfect ambience to complement the delicious cuisines offered along with some of the finest wines and beverages. ‘Hanging Garden’ is the hotel’s poolside restaurant serving scrumptious barbecue along with a variety of North Indian and International Cuisines to feast on while enjoying the immaculate view of the River Mandovi. The Crown Goa has two conference venues; Sapphire has the capacity to accommodate 150 people while Citadel seats 40 in U-shape. The hotel also provides a swimming pool with an attached Jacuzzi, gymnasium with state of the art equipment, pool table and game room, high speed internet access, salon & spa, banquet halls and business center. Additionally, the hotel operates a travel desk and provides currency exchange, doctor on call and laundry service to its guests. Buffet breakfast at Harbour Cafe. Above rates are for per room per night. The above rates are not applicable during the Christmas & New Year period i.e. 20th December 2010 to 5th January 2011. If you have not decided yet or wants to customize tour itinerary or hotels listed above in "4 Star Deluxe Hotel The Crown Package in Goa", then we can change the travel itinerary and make a personalized, tailor-made holiday package, especially for you. We can modify this travel package as per your itinerary, budget, duration and the tourist places you would like to visit, including transportation and airfare should be included or not. Please fill the form below to contact us.